Interview • Director Blair Treu talks about making a documentary that portrays Latter-day Saints as they "really are." 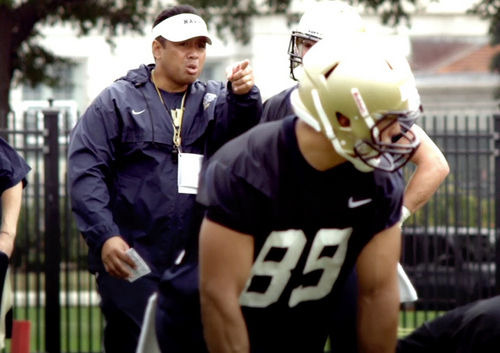 (Courtesy Intellectual Reserve, Inc.) Ken Niumatalolo, the head football coach of the U.S. Naval Academy, is featured in "Mee (Courtesy Intellectual Reserve, Inc.) A scene from "Meet the Mormons Movie." (Courtesy Intellectual Reserve, Inc.) Carolina Muñoz Marin, an amateur kickboxer from Costa Rica who runs a charity with her hus (Courtesy Intellectual Reserve, Inc.) Col. Gail Halvorsen (Ret. ), the man known as the "Candy Bomber" during the Berlin (Courtesy Intellectual Reserve, Inc.) Engineer and humanitarian Bishnu Adhikari is one of the featured characters in "Meet th (Courtesy Intellectual Reserve, Inc.) A scene from "Meet the Mormons Movie." (Courtesy Intellectual Reserve, Inc.) Utah missionary mom Dawn Armstrong is featured in "Meet the Mormons." 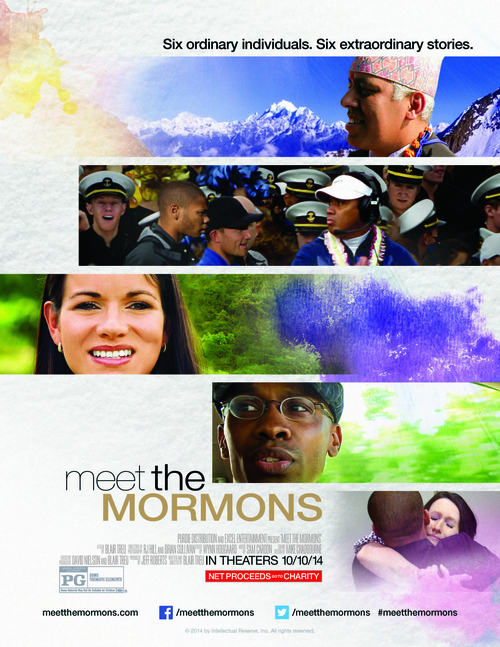 (Courtesy Intellectual Reserve, Inc.) Jermaine Sullivan is an academic counselor and bishop in Atlanta, Georgia, and is featured i (Courtesy Intellectual Reserve, Inc.) "Meet the Mormons" movie poster. (Courtesy Intellectual Reserve, Inc.) Ken Niumatalolo, the head football coach of the U.S. Naval Academy, is featured in "Meet the Mormons." (Courtesy Intellectual Reserve, Inc.) A scene from "Meet the Mormons Movie." (Courtesy Intellectual Reserve, Inc.) Carolina Muñoz Marin, an amateur kickboxer from Costa Rica who runs a charity with her husband, is featured in "Meet the Mormons." 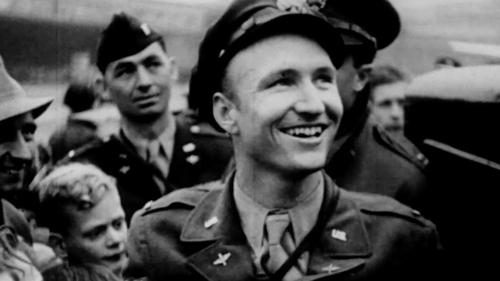 (Courtesy Intellectual Reserve, Inc.) Col. Gail Halvorsen (Ret. ), the man known as the "Candy Bomber" during the Berlin Airlift in the 1940s, is featured in "Meet the Mormons." (Courtesy Intellectual Reserve, Inc.) Engineer and humanitarian Bishnu Adhikari is one of the featured characters in "Meet the Mormons." (Courtesy Intellectual Reserve, Inc.) A scene from "Meet the Mormons Movie." (Courtesy Intellectual Reserve, Inc.) Utah missionary mom Dawn Armstrong is featured in "Meet the Mormons." (Courtesy Intellectual Reserve, Inc.) Jermaine Sullivan is an academic counselor and bishop in Atlanta, Georgia, and is featured in "Meet the Mormons." (Courtesy Intellectual Reserve, Inc.) "Meet the Mormons" movie poster. On Oct. 10, in about 200 theaters around the country  including many in Utah  a documentary about Mormons will be screening next door to "Guardians of the Galaxy" and "Teenage Mutant Ninja Turtles." 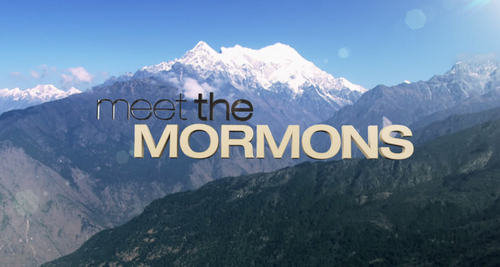 According to Blair Treu, the director of "Meet the Mormons"  a documentary produced by The Church of Jesus Christ of Latter-day Saints as an introduction of the faith to nonmembers  that wasn&apos;t always the plan. "I was part of a small group of producers who were asked to come up with an idea for a film to replace what&apos;s at the Legacy Theater [in Salt Lake City&apos;s Joseph Smith Memorial Building]," Treu said. "Initially, that was what this was about: a visitor center piece, basically." Treu, a Utah filmmaker whose credits include movies with then-teens Katherine Heigl ("Wish Upon a Star," 1996) and Evan Rachel Wood ("Little Secrets," 2001), pitched something different. Instead of a narrative film re-enacting Mormon history or Bible scenes, Treu suggested a documentary "to look at the lives of Latter-day Saints, not about the details of our beliefs, but the lives that come from those beliefs." Mormon leaders approved the idea. "I was surprised how much freedom they gave us," Treu said. The director recalled the order given by LDS apostle David A. Bednar: "He said, &apos;Be authentic and tell our stories,&apos; " Treu said. "That&apos;s really the objective of the film, to tell people who we really are." • Jermaine Sullivan, a bishop in an ethnically diverse LDS ward in Atlanta. • Ken Niumatalolo, head coach of the U.S. Naval Academy&apos;s football team. • Carolina Muñoz Marin, a mother and amateur kickboxing champ in Costa Rica. • Gail Halvorsen, the "Candy Bomber," who distributed chocolate to impoverished German children during the Berlin Airlift after World War II. • Bishnu Adhikari, an engineer and humanitarian who works to build roads, schools and water systems in villages in his home country, Nepal. • Dawn Armstrong, a Salt Lake City woman who was once a struggling single mom and now is sending her son Anthony off on his LDS mission. "We felt that these stories should be a cross-section of Mormons around the world," Treu said. Framing the stories is narration, by stand-up comedian Jenna Kim Jones, that Treu said pokes gentle fun at public misperceptions about Latter-day Saints. The introduction includes person-on-the-street interviews and brief clips from such comedies as "30 Rock," "South Park" and "The Simpsons." Treu bristles at the suggestion that his documentary is an "infomercial," even if it is made for the LDS Church. "Our objective was to be authentic to these families," he added. "I honestly believe that if you would visit any of these six families … the impression you would come away with, having lived with them, would match the impression you get watching the film." P The documentary "Meet the Mormons," created for The Church of Jesus Christ of Latter-day Saints, is set to open on Friday, Oct. 10, in 200 theaters in 25 states. For a list of cities where the movie is scheduled to open, go to meetthemormons.com. Proceeds from the ticket sales will go to the American Red Cross.